This entry was posted in Life/Photography and tagged endurance, forest, Klanovicky les, Nature, postaday, Prague, spruce, stump, Tree, weekly photo challenge, woods. Bookmark the permalink. Dammit! I’ve been dabbling with similar but nothing (r) nothing I’ve found or taken can compare with this~! I want this table ensemble in my room. Especially so. However, I think it has year-round potential. 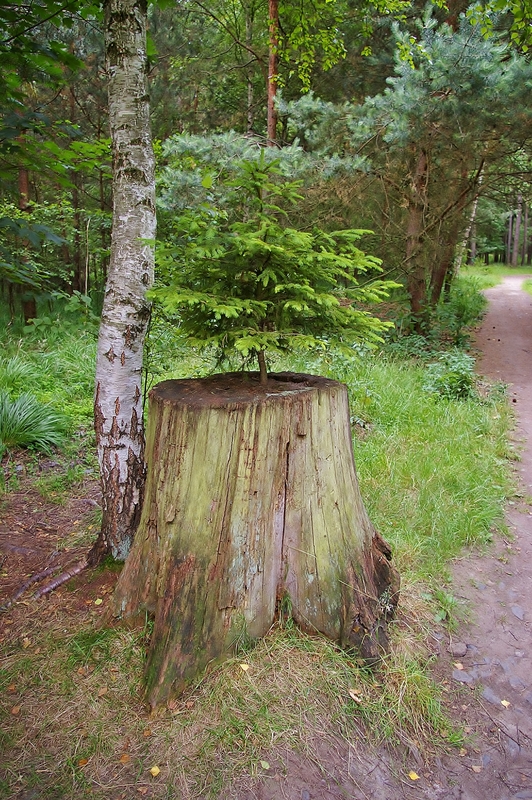 Wow, the tenacity of nature – what a great find! Love this tree! Great photo!